72 by 108 in. 182.9 by 274.3 cm. 96 by 75 in. 243.8 by 190.5 cm. 73 by 60 3/4 in. 185.4 by 154.3 cm. 50 by 38 in. 127 by 96.5 cm. 84 by 72 in. 213.4 by 182.9 cm. 30 1/8 by 40 in. 76.5 by 101.6 cm. 120 by 96 in. 304.8 by 243.8 cm. 108 by 144 in. 274.3 by 365.8 cm. 14 by 10 1/2 by 8 in. 35.6 by 26.7 by 20.3 cm. 84 1/8 by 96 1/4 in. 213.7 by 244.5 cm. Brooklyn-based artist Eddie Martinez draws inspiration from a wide-range of sources, spanning from popular urban culture to Abstract Expressionism and Surrealism. 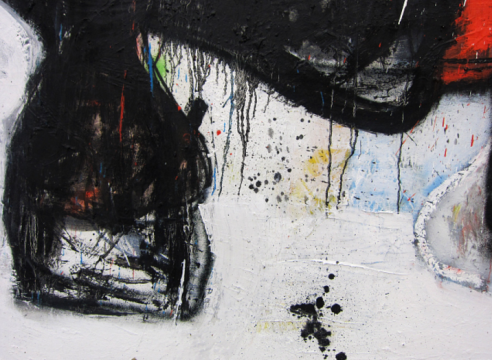 Martinez's work joins together painting and drawing, abstraction and representation in non-traditional ways. 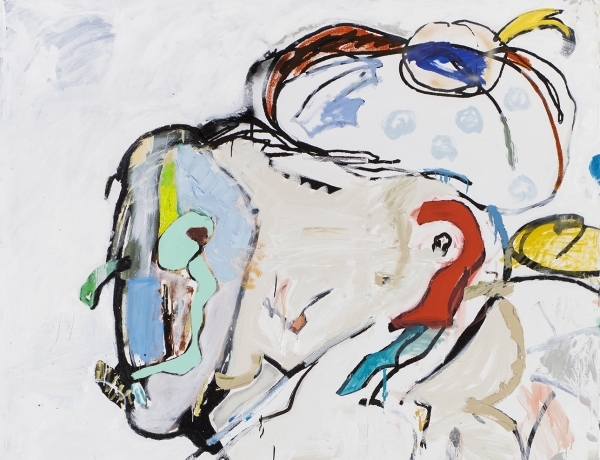 Imbued with a sense of personal iconography, his practice often combines signature figurative elements, such as bug-eyed humans and eclectic headgear with gestural, abstract blocks of color. 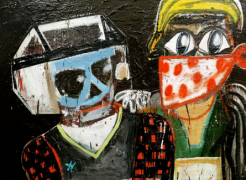 Energetic and raw, his paintings employ an aggressive use of color and texture with various combinations of oil, enamel, spray paint and collage elements on canvas. 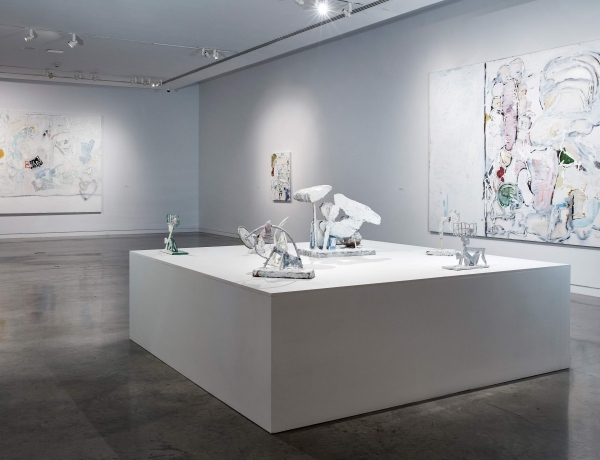 Martinez also produces large and small-scale abstract sculpture, made mostly from found materials such as rubber hoses, Styrofoam, cardboard, and metal scraps sourced from wherever the artist is working at the time. Eddie Martinez was born in 1977 in Groton, Connecticut and currently lives and works in Brooklyn, New York. 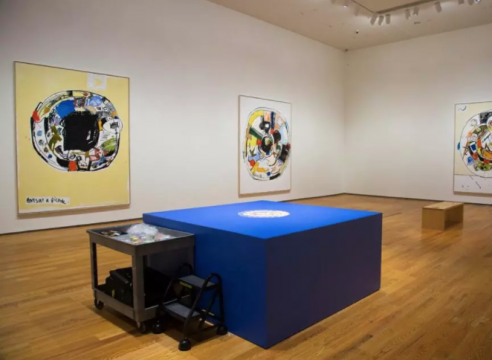 Recent solo museum exhibitions include The Bronx Museum, New York (2018), The Drawing Center, New York (2017) and The Davis Museum at Wellesley College, MA (2017). 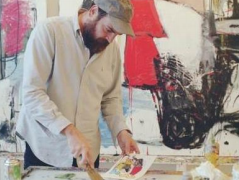 He has also had solo exhibitions at Timothy Taylor Gallery, London (2014); Kohn Gallery, Los Angeles (2014); Half Gallery, New York (2014); and Journal Gallery, New York (2013). 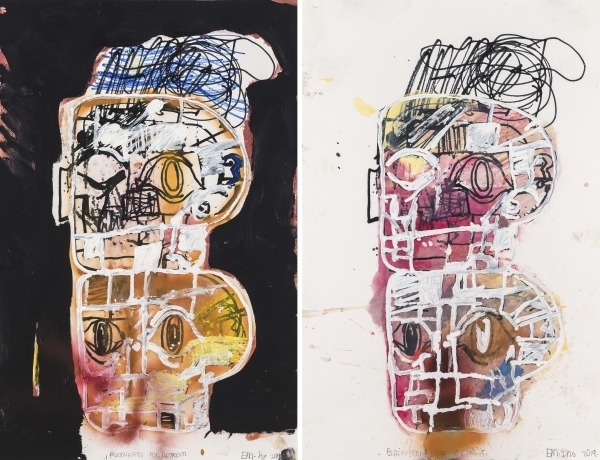 His work has also been exhibited in various group exhibitions at The Saatchi Gallery, London (2013) and Garage Center for Contemporary Culture, Moscow (2011). 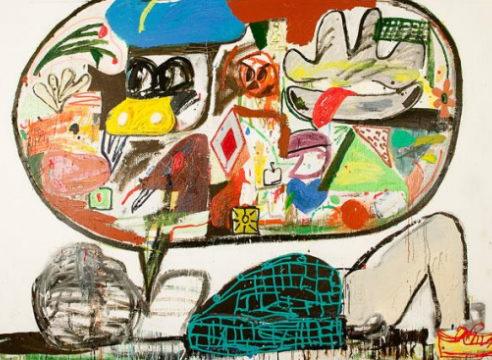 Additionally, Martinez’s work has been featured in Modern Painters, ARTINFO, The New York Times, ArtReview, The Brooklyn Rail, and Art in America. Martinez has an upcoming solo exhibition at the Museum of Contemporary Art Detroit, Michigan in May of 2019. All images © Eddie Martinez. 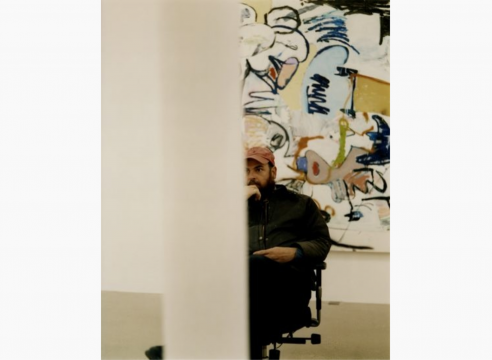 Eddie Martinez is the subject of an upcoming solo exhibition, Eddie Martinez: Fast Eddie, at the Museum of Contemporary Art in Detroit. 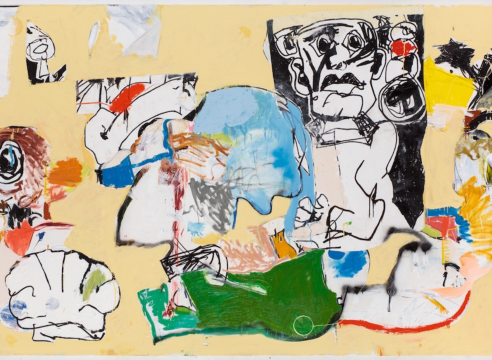 Bid on Eddie Martinez in the Free Arts NYC: Benefit Auction 2019. Free Arts NYC is an arts and mentoring nonprofit dedicated to providing New York City youth with access to the arts and creative careers. 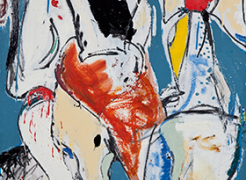 Eddie Martinez is the subject of a solo exhibtion at The Bronx Museum of the Arts, New York. Bid on Sarah Braman, Keltie Ferris and Eddie Martinez in the 2018 White Columns Benefit Auction. All proceeds benefit White Columns, New York's oldest alternative, non-profit space. Bid on Eddie Martinez and Brent Wadden in the Free Arts NYC: Benefit Auction 2018. Free Arts NYC is an arts and mentoring nonprofit dedicated to providing New York City youth with access to the arts and creative careers. The Drawing Center’s forthcoming exhibition Eddie Martinez: Studio Wall, will bring the drawing wall to the museum. The artist will paper the gallery with thousands of sketches that he will change throughout the exhibition’s run. 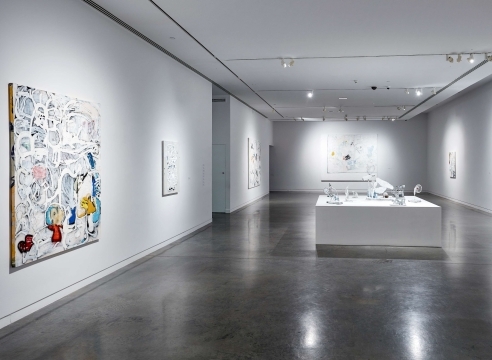 In addition, several large drawings and paintings will be hung on top of these sketches allowing viewers to observe the interconnection between all aspects of Martinez’s practice. 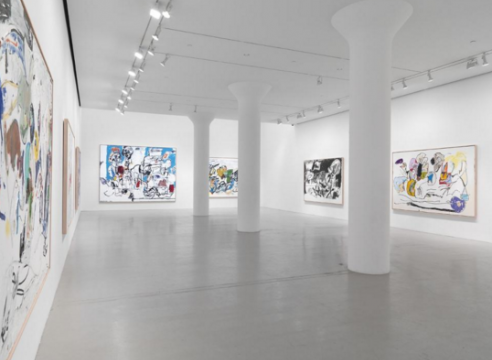 Eddie Martinez: Ants at a Picknic is the artist's first museum solo exhibition. 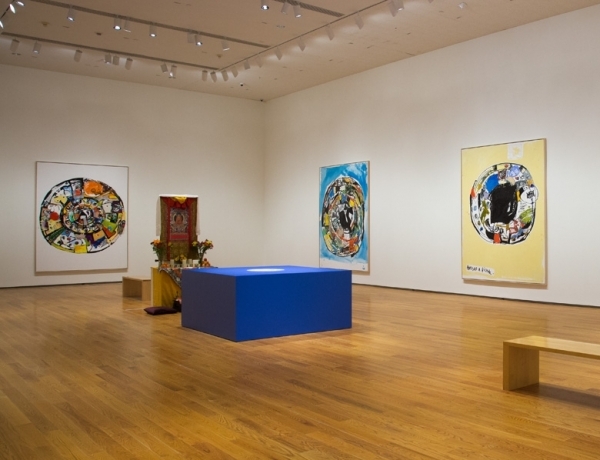 The installation includes a suite of seven new large-scale “mandala” paintings, accompanied by a range of table-top painted bronze sculptures and large graphite drawings. 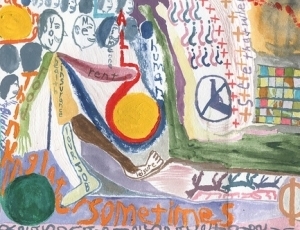 Bid on Sarah Braman, Chris Johanson and Eddie Martinez in the Merge Records Auction. All proceeds benefit the Southern Poverty Law Center and their initiatives to fight hate and bigotry. Along with the original artwork, auction winners will receive an exclusive signed vinyl record by Merge's flagship band Superchunk. 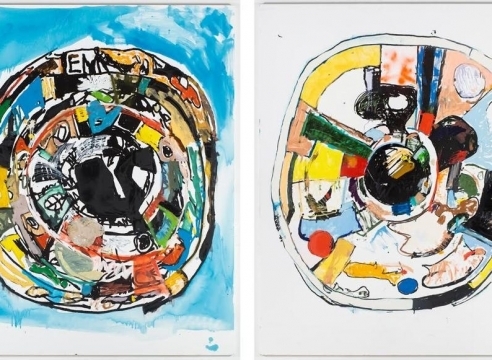 Support those impacted by the hurricanes in Puerto Rico by bidding on artworks generously donated by artists including Katherine Bernhardt, Joe Bradley, Keltie Ferris, Angel Otero, Josh Smith, Stanley Whitney and more. All proceeds will go to the MariaFund, which provides immediate relief to Puerto Rican communities in need, and El Serrucho, an emergency grant program that supports artists and cultural workers on the island. Eddie Martinez and Chief Curator Claire Gilman will lead a walkthrough of Eddie Martinez: Studio Wall at The Drawing Center, New York at 6:30 pm. 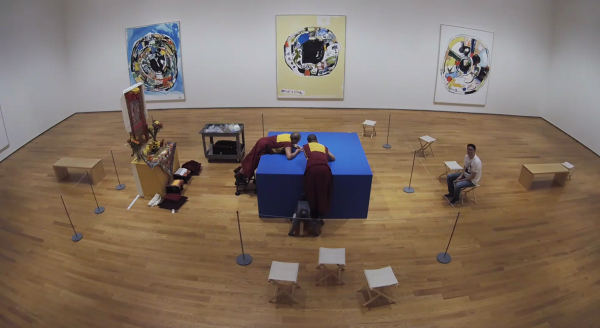 Over the course of three weeks, visiting monks from the Namgyal Monastery Institute of Buddhist Studies in Ithaca, New York will construct a Tibetan Buddhist sand mandala amidst the paintings of artist Eddie Martinez. Creation of the richly complex Medicine Buddha Mandala—a form imbued with powerful healing properties—will begin on September 21, and will be open to the public, Tuesdays through Sundays, between 11:00 AM - 1:00 PM and 2:00 PM - 5:00 PM daily. The public is also invited to the final ritual step in the mandala’s completion, a dissolution ceremony on Wednesday, October 11 at 3:00 PM which will begin at the Davis and conclude at Lake Waban. 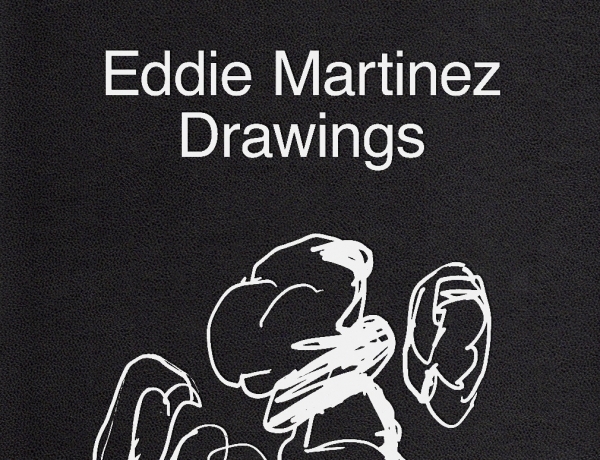 Join us for the launch and book signing of Eddie Martinez's Drawings, published by Triangle Books, on Friday, September 22 from 7:30 to 9:30pm at Spoonbill Studio, Brooklyn. 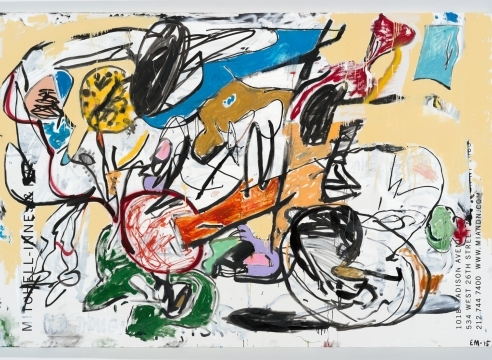 Deeply indebted to the histories of painting, yet realised in an immediately contemporary manner, Martinez’s canvases – formed from oil paint, enamel, spray paint, screen printing and studio detritus – are loaded with coloured, quasi-abstract masses in varying densities juxtaposed against shifting lines. 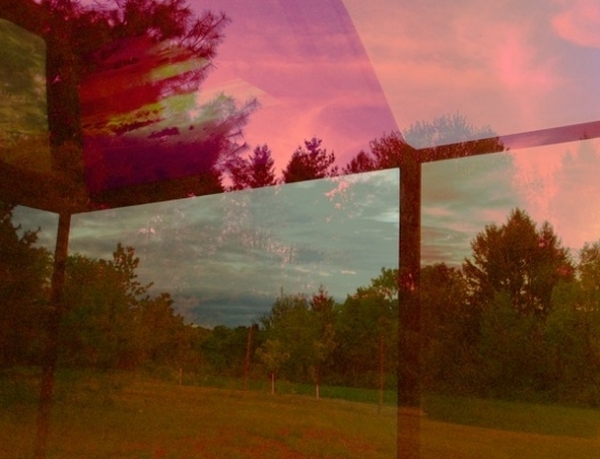 The resulting dynamic imagery moves and merges from figuration to abstraction and back again. 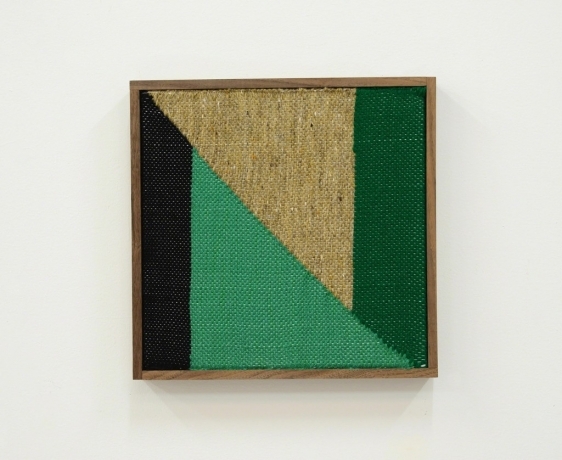 Mitchell-Innes & Nash is pleased to announce representation of New York-based artist Eddie Martinez. Martinez doodles with a Sharpie, then blows up the sketch. 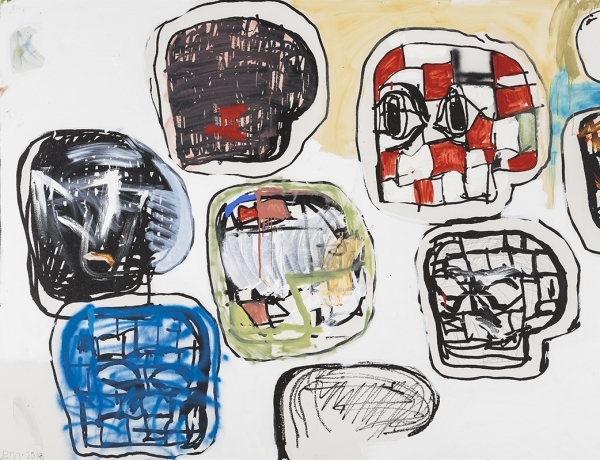 The muscularity of his lines echoes his experience as a graffiti artist, and he walks a path between drawing and painting pioneered by Cy Twombly. The black lines retain the doodle’s nonchalance, but the scale raises the stakes. Martinez fills in, paints over and around with self-effacing colors like avocado green and wan tomato red. 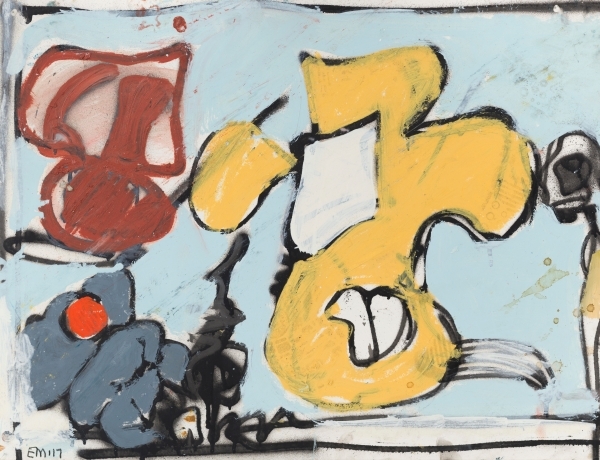 He sprays, dabs, smudges and presses paint — his textures agitate, as do his rough, jagged lines. He tacks on bits of cloth. His signature, a bold “EM,” is part of the spiraling game board, too. There are about two thousand drawings all told, from idle doodles to sketches for paintings, and the cumulative, very happy effect is of being inside the artist’s brain. The Surrealist technique of automatic drawing meets the chutzpah of a hand that’s been known to tag walls with spray paint. Martinez has been swapping in new works as the show goes along, upping the ante on drawing from life—this is drawing as living. 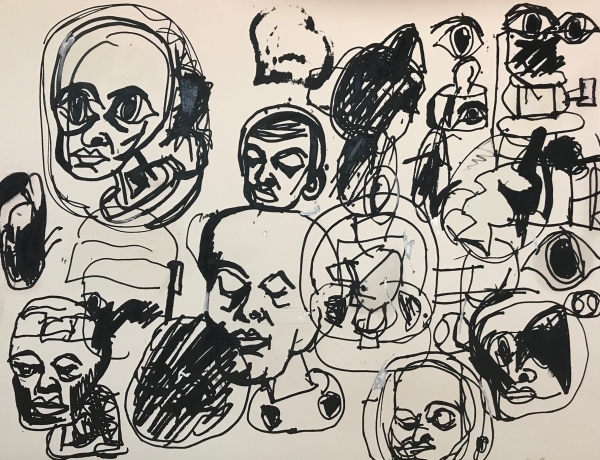 Painter Eddie Martinez is never without pen and paper, drawing as he goes about his day and hanging the resulting drawings—created on the subway, at doctors’ appointments, and even at restaurants—on a wall in his Brooklyn studio. 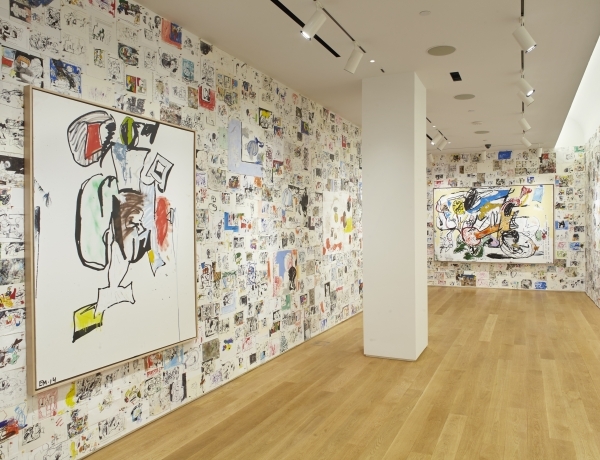 The artist will recreate this wall of artwork at Drawing Center, adding new pieces for the duration of the exhibition. “I’m gonna grab my roller chair,” says Eddie Martinez. Which he does. We’re in Timothy Taylor in London looking at his new paintings. The very kind PR who has offered to get me a coffee has returned with it, but there’s nowhere to put it near us, with me standing and holding a phone as a mic, and Eddie sitting in his office roller chair, so the coffee sits slowly cooling on the side of the conversation like a gooseberry while we talk. I drink it on the way out and it’s still a nice temperature. If you get bored at any point reading this, think about the coffee. Eddie is the kind of guy who gets himself a roller chair without asking if I’d like one too, but he also invites me to touch the paintings and explains them, and it’s all nice. He’s also apologetic about his self-professed inarticulacy and I should have told him that he didn’t need to be. 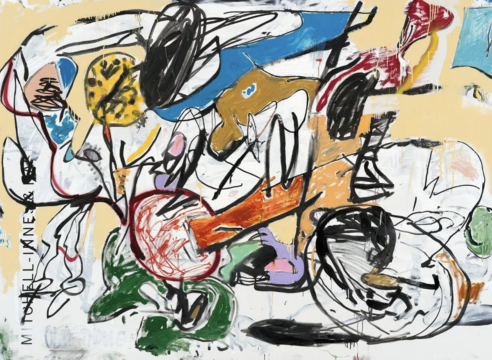 Timothy Taylor‘s “Cowboy Town” exhibition—which opened to the public on Thursday—gathers a series of new paintings by Brooklyn-based artist Eddie Martinez. 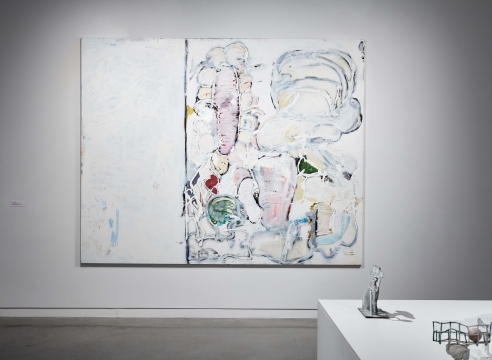 In a stunning exhibition at Mitchell-Innes & Nash titled Salmon Eye (Martinez’s wife’s name is Sam), nine new paintings sit squarely on the walls in the 3400-square foot white cube. 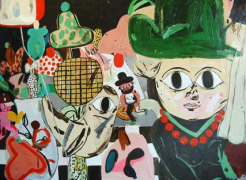 An amalgamation of abstraction and figuration, the work is so quintessentially Martinez and yet wildly different from what we’ve expected from the Brooklyn-based painter. 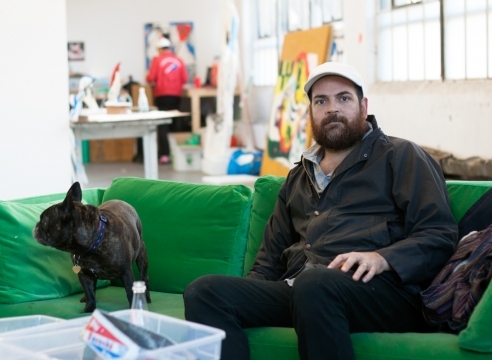 On a cold night of drizzle, we visited Martinez’s new studio in Bushwick. The duplex space was expectedly cold, filled with neatly cluttered spray paint cans and large crayons. And for an hour, we talked shop, hitting on topics from self-care to artistic influences to why his new work feels just a little bit lighter. Here’s what he had to say. 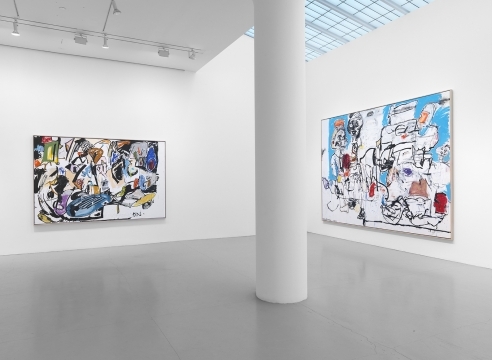 The Brooklyn artist’s big, rambunctious, terrifically friendly canvases collapse seven decades of painting, reviving styles of the Cobra painters (Alechinsky, Jorn, Appel) and adding hints from Americans (de Kooning, Guston, Basquiat, Wool). Martinez silkscreens blowups of his spontaneous drawings and then has at them with oils, enamel, and spray paint. 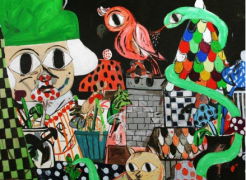 There’s lots of white space, in which black lines and flavorful colors frolic, keyed to what Martinez describes as the Cobra “embrace of the child’s hand.” Does the art world sometimes feel like school? Welcome to recess! 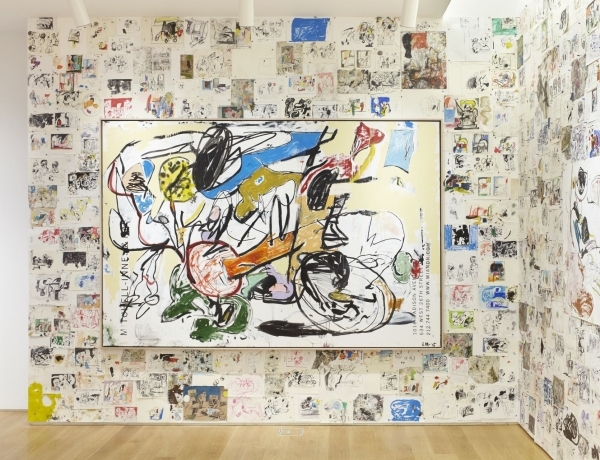 After “Matador,” a 2013 exhibition at the Journal Gallery in Brooklyn, Eddie Martinez sort of hated paint. 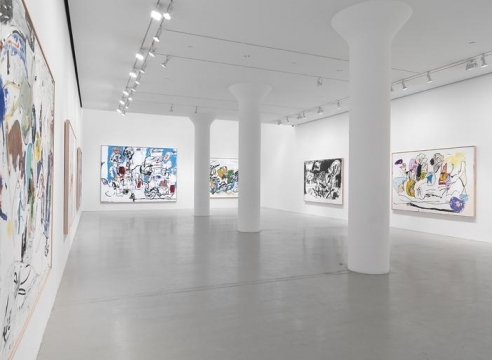 “I had a negative reaction, I got really turned off by it,” said the artist, who found himself avoiding the studio after completing the works in the aforementioned show: Large, quasi-abstract canvases that serially explored the contours of a Picasso-esque bull. To deal with his creative block, Martinez started walking the beach on the North Fork of Long Island during the summer, pondering if three-dimensional work might be the way forward. Eddie Martinez is indomitable. He is a prolific draftsman, an active curator, and he's getting ready to fill a four-story gallery in Seoul, South Korea, early next year. 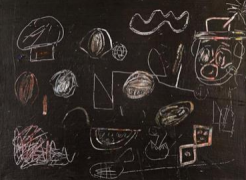 His idiosyncratic drawing style is deceptively simple and has the magical, faux naïve quality of Paul Klee. The 31-year-old's large studio in Williamsburg, Brooklyn, is filled with ceramic miniatures he's been collecting for years. 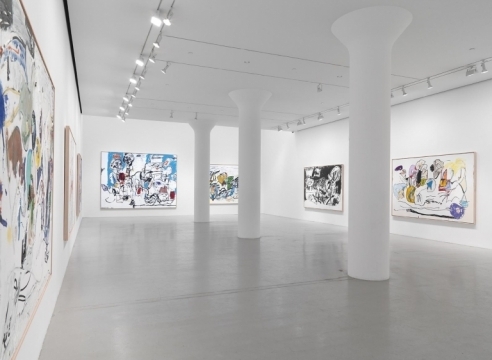 It also holds an extraordinary amount of work: charcoal drawings of his French bulldog, ink sketches of densely covered tabletops, and walls covered in large canvases. 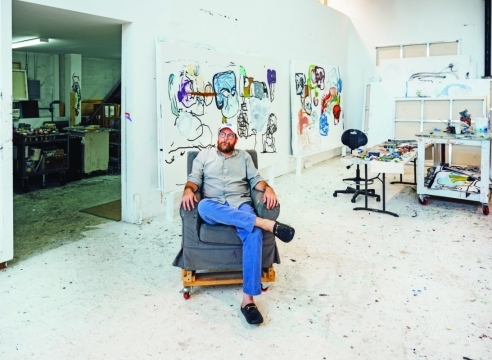 Martinez shows at ZieherSmith in Chelsea, New York, but has been spending more time on the South Shore in Massachusetts, where he has a second studio. 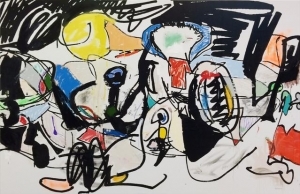 Eddie Martinez, who briefly attended art school in Boston and spent more time there working outdoors on graffiti art, has exceptional gifts as a painter and draftsman, which he exuberantly combines. 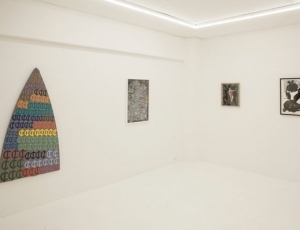 Generally, he has not yet made them his own, but his third show at ZieherSmith suggests enough determination, industriousness and dexterity to get the job done. 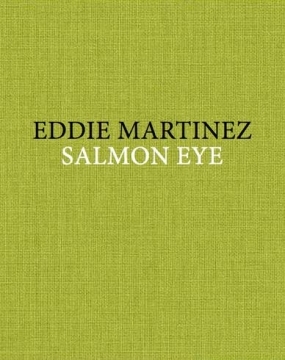 Eddie Martinez’s promising solo debut is full of joyous work that creates its own entrancing world. 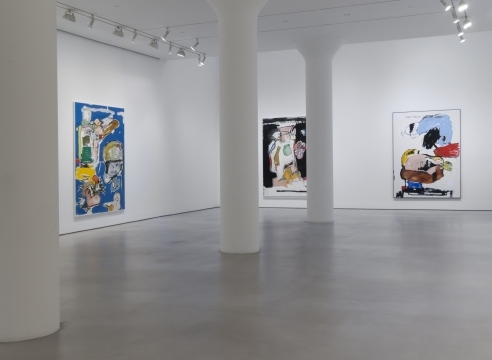 His paintings and drawings feature a recurring cast of men in baseball hats, gliding parrots and coiled snakes who all stare at us with striking, overlarge eyes. They populate incongruous landscapes full of vivid pattern and color, unified by the visceral pleasure Martinez takes in their invention. 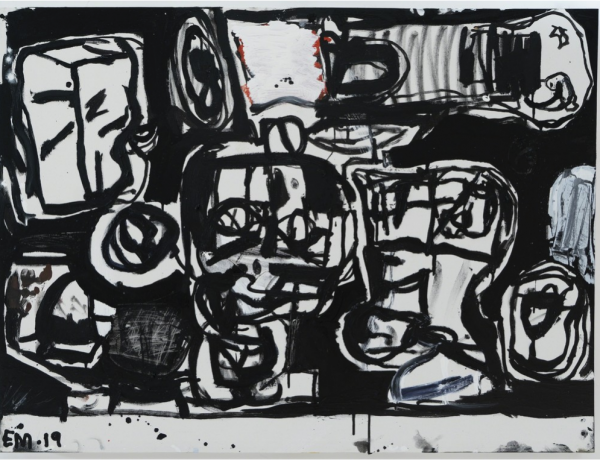 Eddie Martinez’s paintings come out of this practice of drawing, and there is a significant – you could say even an overarching – degree of compulsiveness to them. In the exhibition “A Horse with No Name” the ostensible subject matter is drawn, so to speak, from Martinez’s immediate environment. Everything is diverse and diverting, as well as multicoloured: parrots, rooftops, baseball caps, bases of flowers, pictures, snakes, cats, road signs – and all are revisited again and again.